Before USD 384,00 IVA Inc. Exclusive design leather handbag wearable in two ways, adjustable handle.Top flap made in calfskin hair-on leather and decorated with art. Hand painted art detail on front. Fully lined with Carolina's design pattern fabric.This is 100 % finished top quality, hand made selected bovine leather. - Over flap closure, one outer pocket , one inner pocket. 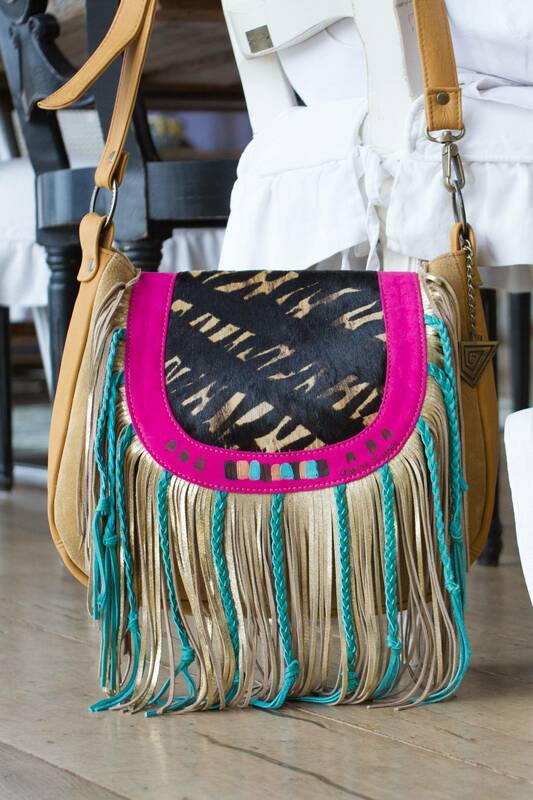 - Available color: Ivory color leather, calf skin hair-on on front, turquoise and beige fringes, .